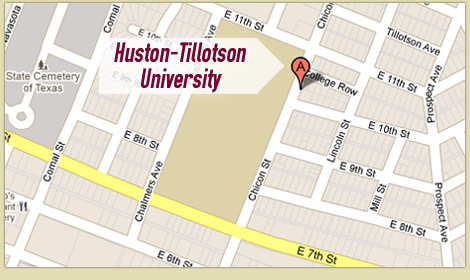 In conjunction with USA Funds, Huston-Tillotson is now offering online Life Skills lessons designed to help students be more successful in college. Certain lessons are mandatory for first-time loan borrowers, graduating seniors, and students who are submitting academic appeals. Student ID: This is your HT Student ID #. Please be sure it is correct so we can identify you correctly! Click here to access the Life Skills web site. Create a Life Skills username and password by clicking on ‘Request a new account’. We suggest using your HT email as your username. Once you are able to log in, start looking for your lessons by clicking on ‘My Catalog’. Click on the name of the lesson that you want to start and click ‘Enroll’ button. If you are doing mandatory lessons, please make sure you complete the correct lessons. See the list below. Complete the Lesson Challenge quiz at the end of the lesson. A score of 70% or higher is required to pass the lesson and have the lesson recorded on your transcript as completed. Please remove any pop-up blockers. If pages are not showing please see if a pop-up blocker is preventing access to web pages. #203-How Do I Live on a Budget While I’m in School? #201-How Do I Achieve My goals? #301-Now That I am About to Graduate, How Do I Find A Job? #302-How Do I Prepare for a Job Interview? I’m having problems signing in or creating a username/password? Answer: Please contact USA Funds Life Skills’ customer service directly at 1-800-766-0084. The financial aid office cannot help with username/password issues. How do I know if I completed my lesson(s)? Answer: You can check which lessons have been completed by clicking on ‘View’ from the ‘My Learning History’ section on your home page. When is the Life Skills website unavailable? Answer: Life Skills performs scheduled maintenance every Friday beginning at 8 p.m. ET. The site is unavailable during this time. System down time varies each week.